Today we caught up with two young people who are on the Isle of Wight Aweigh Ahead course, which is a Back to Work programme. After two years training to become a motor mechanic so she could enter the family business, Lucy Hillier’s plans came to a sudden halt when she found out she was allergic to motor oil. After suffering from rashes to her arms and face, the subsequent diagnosis meant she had to look for an alternative career option. The 20-year-old was told about UKSA’s Aweigh Ahead course through JobCentre Plus and she thought it sounded good, being a six-week part-residential programme aimed at steering young people off benefits and into employment through water-based activities and personal mentoring. She had never been to UKSA before, and had never done any sailing or watersports. She said: “When I got here I thought it was an amazing place. Although I have always loved the sea I never thought I would ever be somewhere like this. I’ve done kayaking, keelboating, and got my Level 1 powerboat qualification, and I have been working on my CV. 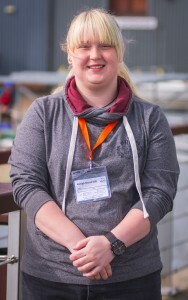 “I did work experience here at UKSA helping the instructors on the coach boats and doing ropework and steering on the yachts. Now I want to work here, helping kids who may have a lack of confidence in the same way as my instructor Oliver Clare has helped me. Lucy is applying to work as a seasonal activity instructor at UKSA and she is also interested in the free watersports training that is offered for selected unemployed young people aged 19-24. Cam Newman, 18, of Ventnor, is unemployed after leaving Medina College with no idea what to do for work. He was recommended the UKSA Aweigh Ahead course by JobCentre Plus when he mentioned seeing an advert in the local paper about our watersports courses. He was selected to take part in the six-week part-residential programme which aims to get young people back into work. 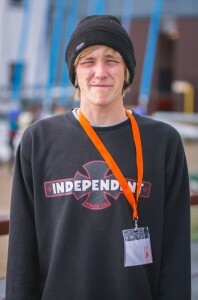 Although he enjoyed the powerboating and other watersports that helps the participants grow in confidence, part of the course involves work experience. Through UKSA he secured a placement with Goddards Brewery and spent a couple of days cleaning barrels and packing boxes, and now he is applying for an apprenticeship with the Island firm.